Last edited by Chibi Jennifer on Tue Jul 11, 2006 8:23 pm, edited 2 times in total. The evil villain who didn't believe in the existence of love. 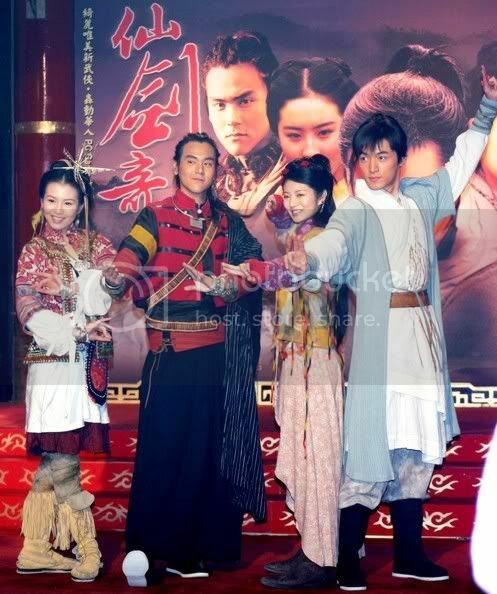 The butterfly girl who was saved by Ah Qi. Guy who fell in love with the Nine-tailed-fox demon. His soul couldn't rest in the tower. The Nine Tailed fox demon, who died in the tower. Also plays the role of her daughter. 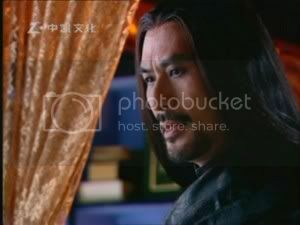 The Guy who trapped LingEr in the tower, last to speak to XiaoYao "Child.."
Last edited by purpleGirl on Thu Jun 28, 2007 4:35 pm, edited 4 times in total. i love him to death!! Liu Yi Fei here too, obviously because of her beauty that no one can deny. 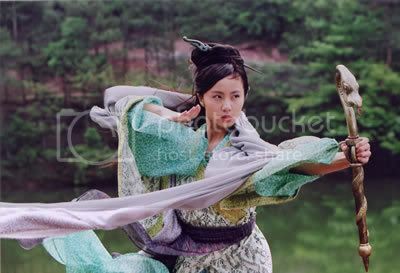 The roles that Liu Yi Fei have been (after watching TLBB and RotCH in all seem similar to each other (innocent girl, simplistic emotions)... A bit too simple IMHO. Then again, she's still very young and has a long career ahead of her . 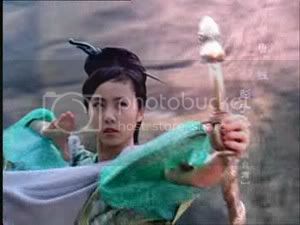 my choice will be ..... Liu Yi Fei. She's the best in my heart. 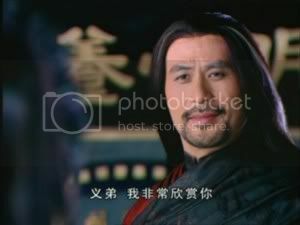 i think very less (or no one) will choose bai yue for he is so evil in the show. most people dont like evil people i think. 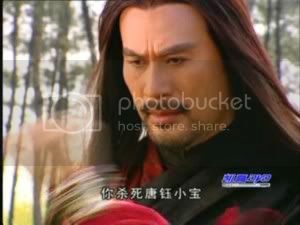 teolilian wrote: i think very less (or no one) will choose bai yue for he is so evil in the show. most people dont like evil people i think. He is not a villian, What kind of super evil guy who wants to destroy the world cry ever so often? Lightbrand wrote: He is not a villian, What kind of super evil guy who wants to destroy the world cry ever so often?